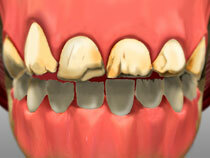 Depending on your case, you may be suffering from a variety of dental problems. Some common issues that patient may be suffering from are stains, decay, misalignment, gaps, damage, worn down teeth, and gum disease. These issues can arise for a number of reasons including poor oral hygiene, neglect, and improper dentistry. As a result, this can make it difficult to speak or chew properly. Social situations can also be embarrassing as you become self conscious about your smile. The type of procedures that we recommend will depend on the state of your mouth. When you come into our practice, we will first examine your mouth to determine your specific needs. If you’re suffering from severely decayed teeth, they may have to removed and replaced with an artificial one. However, if you have gum disease, we may recommend non-surgical gum therapy first to remove the harmful bacteria and allow your tissues to heal. Using the latest dental technology, such as digital X-rays, Dr. Rhonda Savage will examine your mouth to get a complete overview of your oral tissues. Once your comprehensive examination is complete and we have gone over your goals, we will create a treatment plan suitable for your needs. 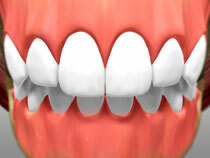 Want to learn more about full mouth restoration? Contact Uptown Dental Gig Harbor at (253) 857-0835 or fill out on the online form to set up an appointment. We’re open most weekdays at 7am for your convenience.